Spend your spookiest Halloween yet (With a friend!) in the Catacombs of Paris! 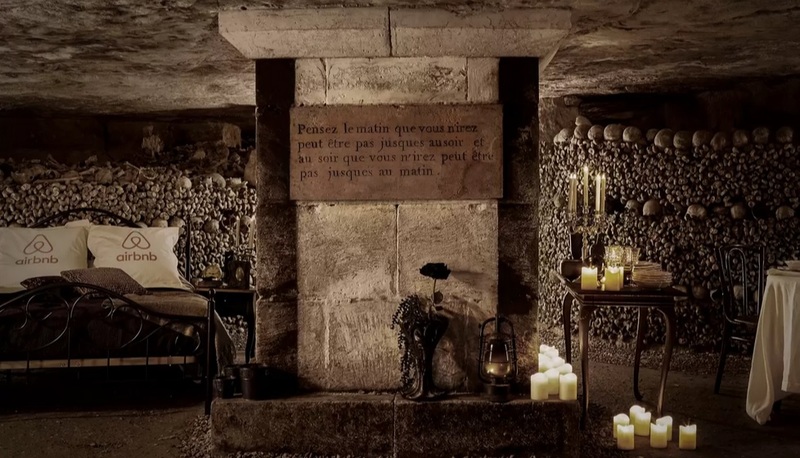 Airbnb, a company and website that lets travelers list, find and rent unique lodging, is hosting a contest to let you and one other share a sleepover within the depths of “The World’s Largest Grave,” the resting place of nearly six million souls. On All Hallows’ Eve night trek to the center of the earth for a once in a lifetime experience complete with a culinary masterpiece to dine on, a private concert to enjoy, and a few bedtime stories about the history of the underground labyrinth. Photo by Airbbnb via Airbnb.